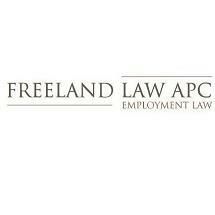 Freeland Law is a dedicated, aggressive, advocate of its client's interests in public and private employment matters including discrimination, harassment, wrongful termination, retaliation, wage claims, unemployment insurance benefits appeals, Federal EEO claims, and Federal MSPB claims. With over seventeen years of litigation experience, Michael M. Freeland will provide you with personal attention at reasonable rates. Mr. Freeland's honesty and integrity are his hallmarks and can be relied upon without fail. Disciplinary matters such as suspensions, layoffs, demotions, and reductions in pay, and defamation. Mr. Freeland has conducted state and federal trials and administrative hearings. He is proficient in handling all aspects of litigation, mediations, arbitrations, depositions, and law & motion matters. Mr. Freeland also has extensive appellate court experience, resulting in three published opinions by the Fourth District Court. He is a published contributor to San Diego Update Magazine and the San Diego Daily Transcript.